It felt strange to type the date of this newsletter and immediately be sent back to 16 years ago when the news on my television began blaring about planes, towers falling and too many innocent lives lost. May you take a pause today to remember for those no longer with us, the families who are still grieving and for those who are still on the front lines fighting terrorism. Our September series - Mosaic - continues this week with two more diverse stories. I hope you had a chance to read our anonymous and Darlene's stories. If not, you can read on the website here or click on the links below. 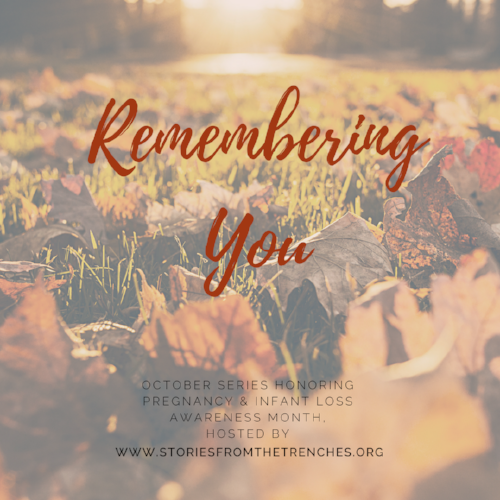 This week Cameron shares about choosing to embrace yourself, imperfections and all while Cheryl tells how her deep rooted faith grounded her during her trench storm. Join me for our next Facebook Live on Sunday, September 17th at 8:00 p.m. central time. We are looking for a Creative Director to help with moving our vision and mission forward. Someone who thinks outside the box, knowledgable about ongoings in social media/marketing/public relations and who has the rare gift of creativity. The candidate also needs to be compassionate and empathic towards our audience—women who are experiencing the trenches of life and finding healing, support, and encouragement through sharing their stories. If you or someone you know would be a good fit, please email me! I have been glued to my phone and internet as Hurricane Irma slammed the state of Florida. I have several family members in Florida including my beloved Papoo, who I worry about on a normal day let alone the largest hurricane Florida has ever seen. As I type this, all of my family is hunkered down safely but of course as the eldest grandchild I will always worry. Do you have family in Florida? Did they evacuate or stay? How are they doing?